Non-slip shoes can be the difference between a successful day and a terrible one. Put on these Reebok Men's Black RB1130 Soft Toe EH Jorie LT Oxford Work Shoes, and you'll notice their gripping, rugged outsoles right away. These low-cut men’s work shoes featu ... (see full details) (see specifications) #RB1130. Non-slip shoes can be the difference between a successful day and a terrible one. Put on these Reebok Men's Black RB1130 Soft Toe EH Jorie LT Oxford Work Shoes, and you'll notice their gripping, rugged outsoles right away. These low-cut men’s work shoes feature a classic oxford style. They'tr crafted with Reebok’s easy care leather. This weather-resistant leather has all of the rugged durability you’d expect from full-grain leather. Being weather-resistant, these black leather uppers are averse to abrasions, oils, and moisture. In addition to that, Reebok’s easy care leather is also softer and more flexible than your typical leather uppers on footwear. The interior of these low-cut soft toe EH shoes features a lightweight lining. This lining helps promote breathable and dry comfort throughout your work day. 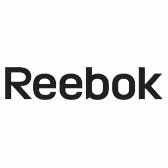 To provide you with ample amounts of cushioning, Reebok also added a lightweight EVA foam insole. This footbed features built-in heel pads that help bolster the cushioning as well as shock-absorbing support. Reeboks Super Grip Plus outsole also increases the protective cushioning of these soft toe men’s Jorie LT oxford shoes. This black rubber outsole is made with a shock-resistant rubber that provides incredible traction. With the unique tread design, the Super Grip Plus rubber outsole provides you with slip-resistant footing, even on wet or uneven surfaces. With a 100% non-metallic construction, these black Reebok slip-resistant shoes meet or exceed the ASTM F2413 standards for electrical hazard protection, enhancing your safety. With all of these special features packed into this men's footwear, we feel that these Reebok Men’s Black RB1130 Soft Toe EH Jorie LT Oxford Work Shoes from Working Person's Store will help you win each day. I received my Doc Marten steel toed boots today and they fit great! Thanks for the speedy shipping and great service. Reebok Shoes: Men's Black RB1130 Soft Toe EH Jorie LT Oxford Work Shoes is being added to your cart.